Recently Zazzle introduced the collections tab. Store owners can collect items from their own and other designers stores into themed collections. One of my new collections is the Black Labrador. It contains all sorts of items with the common factor of having a black Labrador Retriever on them. 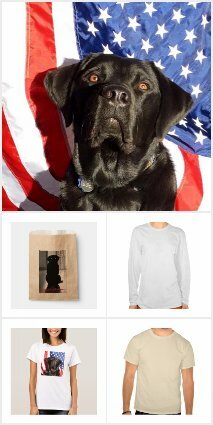 Anything from dog gifts to human tee shirts, all items have a "Black Lab Theme". Take a look by following this link.